You may have missed last month’s premier foodie event in the Hamptons, the James Beard Foundation’s Chefs and Champagne tasting showcase, but there’s still much to sample for a weekend in the Hamptons at the tip of New York’s Long Island. The Hamptons have perfected the art of the garden. And while most of the mansion have theirs hidden away behind their unfriendly privets, the Peconic Land Trust has created one that’s open to the public at any time. Bridge Gardens on Mitchell Lane in Bridgehampton is the kind of oasis among the Hamptons scene that will make you rethink your plans, even on a sunny beach day. 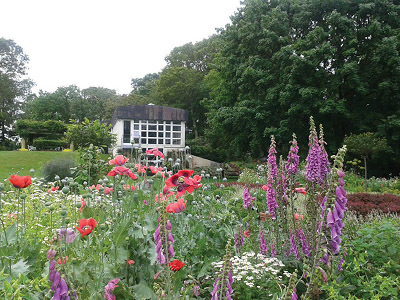 In this decidedly uncrowded setting of multiple flower and vegetable gardens you might feel that you’re in an English garden, one hidden and exclusively yours. In fact, you might have the gardens entirely to yourself, a rarity for New Yorkers. It’s a beautiful place to Zen out and ignore the Hamptons traffic. Museums also offer a respite from the summer heat. 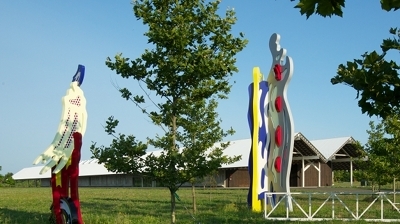 The Parrish Art Museum in Water Mill is one of the country’s finest, with a collection of art from local artists. The permanent collection is enhanced by frequently featured exhibits. This summer’s “live” Light Waves exhibit projects videos on the outside of the museum’s distinctive building. A café and bookstore are welcoming and creative as well. If you’re in town on August 21, a special Solar Eclipse program in conjunction with the Montauk Observatory will be hosted from 1-4pm on the museum grounds. In Southampton, the Southampton Art Center offers changing exhibits as well as other performing arts programming. Dining is one of the pleasures of the Hamptons. 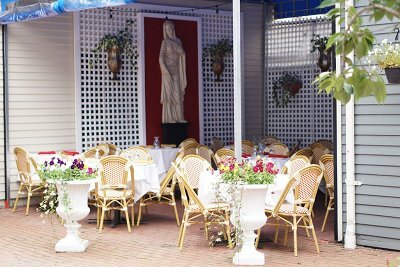 Each town has its local favorites, some with outdoor dining. 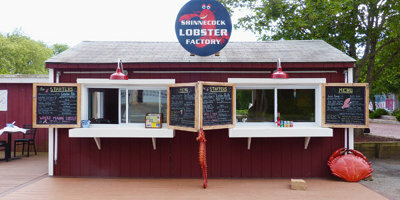 For a quick lobster fix, the Shinnecock Lobster Factory in Southampton, Bay Burger in Sag Harbor, and Canal Café in Hampton Bays have the best lobster rolls around. At each, you can choose to enjoy your sandwich outdoors or indoors. If you like Italian food, you can try secluded Manna in Water Mill or go family-style at La Parmigiana or the casual Paul’s Italian Restaurant in Southampton, where the heroes are large enough to be shared and pizzas by the slice include interesting versions such as Buffalo chicken. 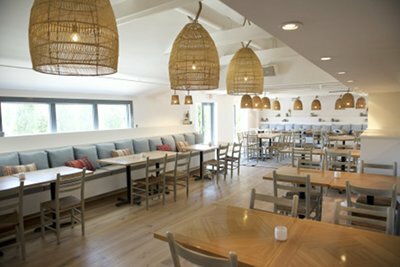 Yearling Doppio la Spaggia in Sag Harbor, and this year in East Hampton as well, serves up crudo, pasta, carpaccio and other Italian favorites, each with a special farm-fresh twist. Note: sit outside if you’re sensitive to noise. The North Fork has two Italian eateries worth traveling for: Grana in Jamesport is a rustic, inventive trattoria which plates whatever vegetables are freshest of the moment. Chef Marco Pellegrini of Caci has brought his Umbrian savvy to Southhold to a setting on a farmstead. 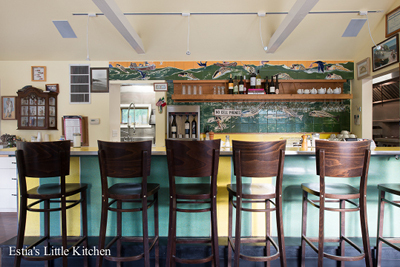 Here, Chef has a kitchen entirely devoted to pasta making. His green basil tagliatelle is as close to Italian perfection as I’ve ever eaten. Wines, if not from Italy, are all from the North Fork and menus proudly list the local purveyors of the proteins and produce. For breakfast, two standouts are Hampton Bay’s The Hampton Maid, an inn with a restaurant that only serves breakfast; nearby Orlando’s adds a bit of Costa Rican spice to the dishes at this homey restaurant. Estia’s Little Kitchen in Sag Harbor is a popular choice for breakfast and lunch as well with Mexican-inflected dishes. For a restaurant experience that’s more sophisticated, lunch at Sant Ambroeus, Le Charlot or Silver’s in Southampton is casually elegant with Italian, French, and American cuisines respectively. Among the newest restaurants in the Hamptons, Calissa in Water Mill and Kuzo in Southampton will keep you satisfied with their Mediterranean and Japanese-Peruvian flavors, respectively. Save these for a splurge, as the prices are as high as the quality. Book late for Calissa so you can dine to live music. If you love wine, the Hamptons are New York’s answer to the West Coast. 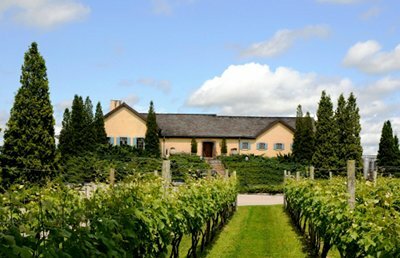 The North Fork has 43 vineyards, many of which offer daily tastings. Wölffer Estate Vineyard and Channing Daughters Winery on the South Fork offer two gorgeous settings where you can tour, taste, or enjoy an open-air yoga class. Pick up a bottle of Wolffer’s acclaimed “Summer in a Bottle Rosé” at their new Drive-thru Rosé Stand if you’re short on time! Wölffer also has two restaurants, Wölffer Kitchen in Sag Harbor and a new one in Amagansett, where you can sample their many varietals as well as enjoy their farm-to-table expertise. Don’t feel like driving? Have a taxi bring you to The Maidstone Hotel in East Hampton. The hotel offers a charming Scandinavian-influenced setting on the town’s historic mall. 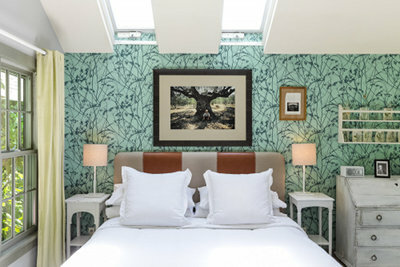 Here, you can spend the night, drink some fabulous wines and Aquavit, and enjoy the cozy hotel restaurant, all without worrying about joining the car parade on Montauk Highway.